Step 1: First of all, download BHIM Apk from above link. Step 2: After the Download Install on your android smartphone. Step 3: Choose your desired language (English or Hindi).Choose Language >>Click on Next>>Click on Let’s Get Started. Step 4: Sometimes it will ask for some permissions. Click on Allow button. (If you didn’t get any popup, then you can skip this step). Step 5: Verify your mobile number. A message will be sent from your android. So, make sure you have 2-3 Rs. balance in your main account. Step 6: Register your passcode. (4 Digit Code). Don’t forget this code as you will be asked for this code every time you will open this app. Step 7: Select your bank from the list of various banks now. Once you have selected your bank, you will be shown account number which is registered with your mobile number.Click on that bank account. Now your account is ready for the transaction and you will be able to use all the features of BHIM app like Send Money, Request Money, and Scan & Pay. Follow below steps to setup your bank account with BHIM app. Step 1: Register your bank account with BHIM. Step 2: Setup the UPI PIN for your bank account. Step 3: Now your mobile number will be your payment address. You can able to change it later. 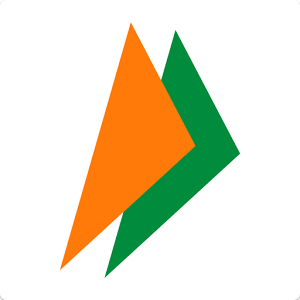 Finally, you will be able to start doing transactions via BHIM App now. UPI Address – What’s Mine UPI Address? In BHIN APK by default, your UPI Address will be your mobile number. For example, if your mobile number is 9188121366, then your UPI Address will be 9188121366@upi. Though you can get your own custom UPI Address as well both text and numbers are supported. How Does BHIM APK Work? Send money to or receive money from friends, family and customers through a mobile number or payment address. Money can also be sent to non-UPI supported banks using IFSC and MMID. You can also collect money by sending a request and reverse payments if required. Step 1: First of all Click on Send button. Step 2: Enter UBI Address of the person to which you want to send money. Step 3: Hit Okay button. Step 1: Open BHIM App. Step 2: Click on 3rd button located at the extreme right of the screen. Step 4: Click on Generate QR Code. Thanks, reader hope you understood How to Download and install BHIM APK on your android smartphone. So what do you think about this android app? Don’t forget to share your opinion about this app in the comments section below. Share this page with your friends to help them in setting up this android app. if you are fetching any problem to download and install please comment below I will help you anytime.